We choose to live in the city. We have chosen to squeeze our kids in a tiny one bedroom apartment because we love the city. DC is a city that gets used. Some days the hostility, anger, and hurt than plagues our Nation's Capitol are overwhelming. But we are passionate about investing in seeing DC grow, neighborhoods be restored and relationships improve. We have a heart for DC and live here intentionally, even on the hardest days. 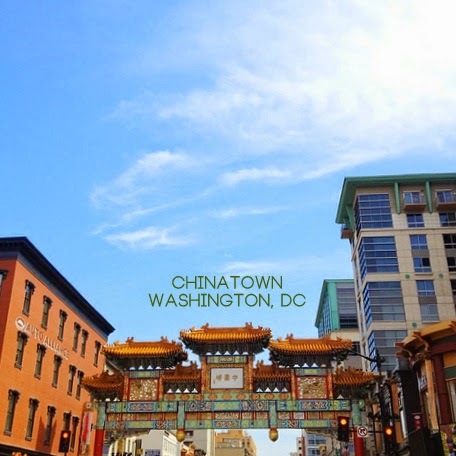 Last week we were walking through Chinatown, a neighborhood where we spend a great deal of time. I was pushing Hudson in the stroller while Behr rode his bike behind me. Near a metro station, on a busy street corner, I thought nothing of the crowd in front of us. A group of guys surrounded us, cursing at and kicking us. Kicking the stroller and bike tires. I couldn't reach Behr and hold onto the stroller. I just kept walking, pushing through the crowd, hoping Behr would be able to stay right behind me. Behr stayed right on my heels. We weren't physically harmed, but we are both shaken up. Since then Behr has been closed off, frowning and not leaving my side as we walk down busy streets. We are both having trouble sleeping. We walk everywhere, so I cannot imagine that causing him anxiety. While we would really appreciate prayer for both of us, we would ask you to also pray for DC. I canceled my scheduled blog posts and tweets, and spent time loving my family and getting out into the city we love. I was largely absent from instagram and twitter over the weekend, but I did happen to catch this tweet from Tim Keller, "You cannot help with a burden unless you come close to burdened people." Sitting up at night, it has become abundantly clear that we all still love DC. If I focus on last week, it will color my view of this city forever. I don't want to hold on to bitterness or frustration because of a few punks. Instead, we are going to embrace this city and continue to invest in the people who are working towards restoration. I hope to be able to share some of these with you in the future. For now, I am going to snuggle my strong, brave son, and continue to process with him. Oh My Goodness, Shannon, this just breaks my heart and I can't even imagine what you felt in that moment as a mama wanting to protect her boys. This world is a crazy place and some days it's so hard to find the good. So much to process for a little one like Behr and I can only imagine his anxiety. Sending prayers for you and for Behr that you can process this together and become stronger because of it. Hugs mama! Shannon I am just sobbing about this. You are so smart and Behr is so brave. I'm sure I would have done something to make it worse and freaked the heck out. I am so sorry this happened to you. Your boys are so special. oh Shannon, how scary! I'm glad you're both physically okay - and I hope that your love for DC will help heal the rest. How scary, I am so very sorry. Behr has his city smarts, which will serve him well but good lord I wish that didn't happen. So glad you are all safe.